Save valuable shop space with the Wall Glass Rack. The space-saving Innovative Wall Glass Rack holds up to 6 windshields or back glass. Features extensive rubber and foam padding which prevents glass-on-metal contact. Holds up to 6 windshields or back glass. A 2″ wide flat steel base for very secure wall mounting (comes with all mounting hardware) and durable powder-coat finishing all backed by our lifetime warranty. 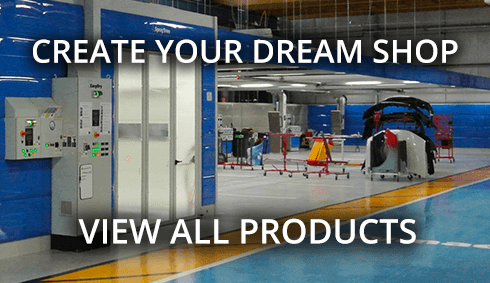 Innovative Tools recommends one Wall Glass Rack for every six bays in your auto body repair shop.